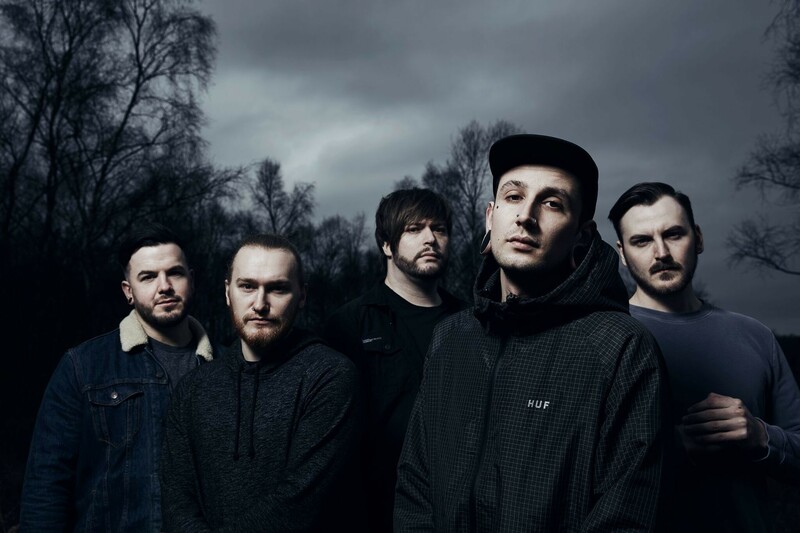 Our Hollow, Our Home are set to release their brand new album 'In Moment // In Memory' tomorrow, and it's an intensely personal journet of both love and loss, centered around Our Hollow, Our Home vocalist / guitarist Tobias Young losing his father in 2017. Speaking on the personal aspects of 'In Moment // In Memory', Tobias explains “In January 2017 I started the initial writing process for the second album. This came to a sudden halt when I found out that my father was terminally ill with lung cancer. My focus moved to spending time with him and my family and away from writing until sadly, just 4 short months later, my father passed away. The intro to the album, and the first of the 'stage' tracks. I wanted each of these to serve as an introduction to the songs that followed, setting both the tone and feel musically. Elaine Mansfield was kind enough to let us sample her “Good Grief - What I Learned From Loss” tedxtalk. We started our first album ('Hartsick') with a big, abrasive breakdown, but this time I really wanted the listener to be immersed in the emotion of this album from the get-go, and get a taste for the the journey they are about to take with 'In Moment // In Memory'. The second single from the album, and one of my favourite tracks. It’s fast, it’s catchy and it’s heavy, so it is fundamentally a classic Our Hollow, Our Home track through and through! Lyrically its taken from the stand point of feeling completely lost, so much so that you can’t actually believe whats happening to you. Whilst all the songs on this album share a clear narrative, some songs more-so than others deviate from that and allow for the personal interpretation of the listener. This is one of those tracks. This was the first song I completed for the album. We left for a run of European shows the day after my Father sadly lost his battle with cancer. I had just finished the instrumental a few days before we were due to leave, so I wrote most of the lyrics in the van, before taking them to Connor and the guys to get their input. 'Disconnect' is about being in the eye of the storm, and how you feel when your life takes a drastic shift for the worse and you just can’t quite comprehend the reality of what’s happening around you. I think this is probably the heaviest piece of music we have ever written. Both lyrically & musically this short track oozes the emotion it’s named after, and I feel it introduces the next chapter/ part of the album perfectly. Ever been told relentlessly that you are not good enough by your peers, or that you will never amount to anything? If so, this is the song for you. 'Love // Loss' ventures further away from the overall narrative of the album than any of the other tracks, and whilst it conveys anger, it also conveys self belief. The chorus of this track is almost a sequel to the chorus from “Hartsick” and was written as a thank you to our fans. Without them we literally wouldn’t be anywhere near where we are now. #teamOHOH. This is my favourite track on the record. Its written from the perspective of someone who suffers with IED (Intermittent Explosive Disorder - anger management) and how living with it effects your thought process. Easily one of the most difficult songs to play musically, but also the most fun to record, and I hope it will go down well live! I think it does a good job of tying up any loose ends from “// anger” as it has a positive spin towards the end. My favourite of the 'stage' pieces, and arguably the piece of music I’m most proud of composing for the album. I’m really into my film scores. I tend to listen to soundtracks more than anything else and it was really important for me that the orchestral elements on this album were a focal point at times and thoroughly thought about. The album as a whole features a lot more keys, strings and horns than we have ever used before. They are as important to the songs as the guitars, bass and drums, and whilst at some points on the album they take a back seat, '// bargaining' is where I feel they really shine. There are two stories being told in 'Weight & Carriage', but when myself and Connor sat down to work on the lyrics, they matched up perfectly for the song. Whilst on the surface, it’s a song about a fractured relationship, there is another level to the song that is down to personal interpretation. You’ll have to listen for yourself and see how you interpret it! It’s going to sound cliché, but this interlude just sounds sad, it sounds dark, and it sounds hopeless. The last two stages of the album hold some of the most honest and forward lyrics we have ever written, so '// depression' is fairly stripped back to allow some breathing space for the emotional rollercoaster that lies ahead. The first single from 'In Moment // In Memory'. This was the third song we completed for the album and was one of the easiest to put together both musically and lyrically. We chose to release this song first because we felt it would do a good job of bridging the dynamic shift in sound between the two albums. The stand out point for me is the children’s choir in the outro. I chose that particular section because of the way the lyrics ebb and flow in that section reminded me of a nursery rhyme, and I felt that the naievity of the words sounded more honest through the voices of the children. It’s been going down a storm live and is easily my favourite music video to date! One of the most open and honest sets of lyrics on the record. I felt due to the subject matter of the album, there was always going to be a few songs where I’d have to 'wear my heart on my sleeve' so to speak, and not hiding meaning behind metaphors. The song was written about the last time I saw my dad before he passed away, the conversations we had, and how I felt directly after I lost him. Musically, it’s a total riff fest and is one of the most relentless tracks we have ever written. This was a riff I’d been playing in soundcheck for about a year, it was just something I kept going back too because it sounded positive even though it was in a minor key. When I was working on 'Parting Gift', I knew I had just the part to use as its introduction. Probably as far away from a typical Our Hollow, Our Home song as you can get, but arguably the most important song on the album. The closest we will ever get to a ballad, 'Parting Gift' was my way of trying to give something back to people who are going through a similar time in their life. It’s pretty raw, and I think we have all shed a tear whilst listening to it, but even though it is a sad song, the message is positive. That’s what I really hope people take away from it. The last track on the album. I feel it really wraps up the journey you take as a listener and completes the story on a positive note. Its one of the lightest songs on the record, but I dont think it sounds out of place. The outro for the song, and the album is one of my favourite parts of the entire album. It took ages to complete the arrangement, because there are so many layers all happening and overlapping, strings, guitars, horns, vocals. It has got it all! The album ends with a positive message, it ends with acceptance, and I hope this album will help anyone who is struggling with grief, just as writing it has served as a vessel to aid me through it. 'In Moment // In Memory' is available everywhere Friday, October 19. You can get all the info on it here. Also! 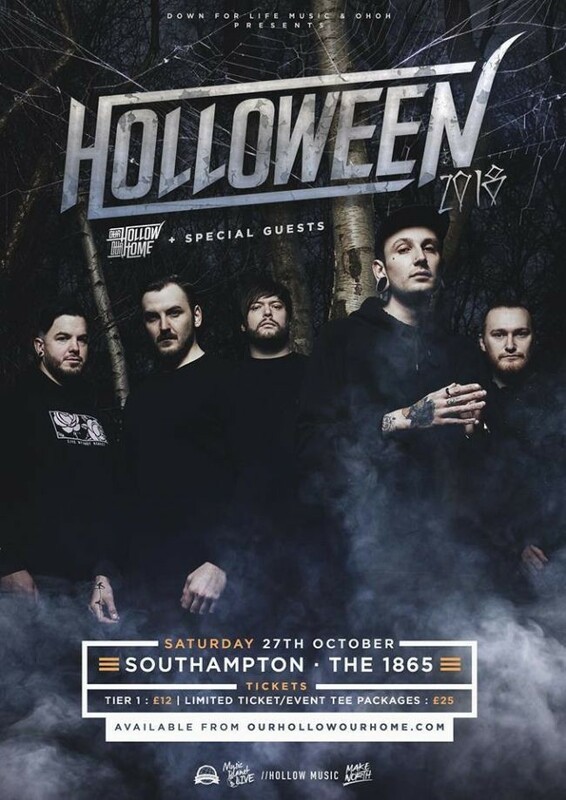 Our Hollow, Our Home are celebrating the spooky season with a headline show in Southampton on October 27. Tickets are almost sold out, and it's set to be a pretty great time.